What is a Rhode Island Living Will? Rhode Island Living Will: What Is It? A Rhode Island living will has an important job. It explains your desire for medical treatment if you are incapacitated. A Rhode Island living will also names an agent who will make your medical decisions during that time. There are specific laws in Rhode Island that explain who can and can't be named as your agent. A Rhode Island living will is required to be signed by two witnesses who are not related to you or married to you. 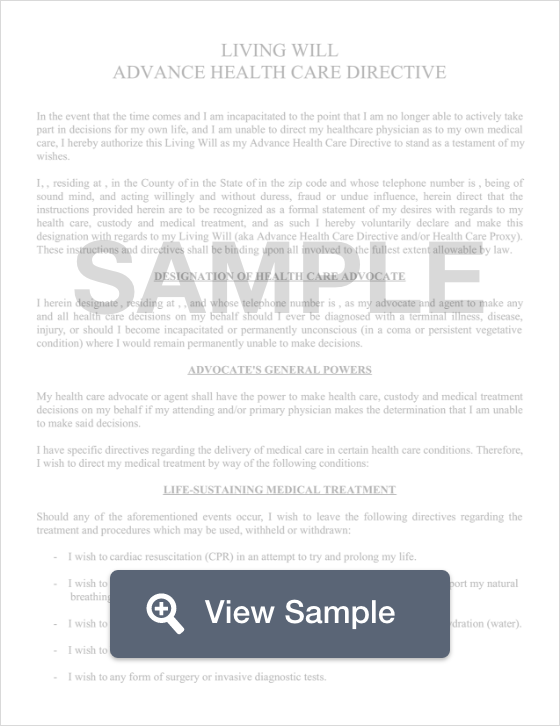 § 23-4.11-1 through § 23-4.11-15: The Rights of the Terminally Ill Act states that a living will is only effective if an executed copy is provided to the physician and made part of the patient’s medical file. For the living will to take effect, the declarant must be diagnosed with a terminal condition and the declarant must not be able to make their own decisions. Another important end of life document is a Rhode Island last will and testament.